People have engineered methods to haul loads since the beginning of time. Here’s another go at the “backpack with wheel” method. 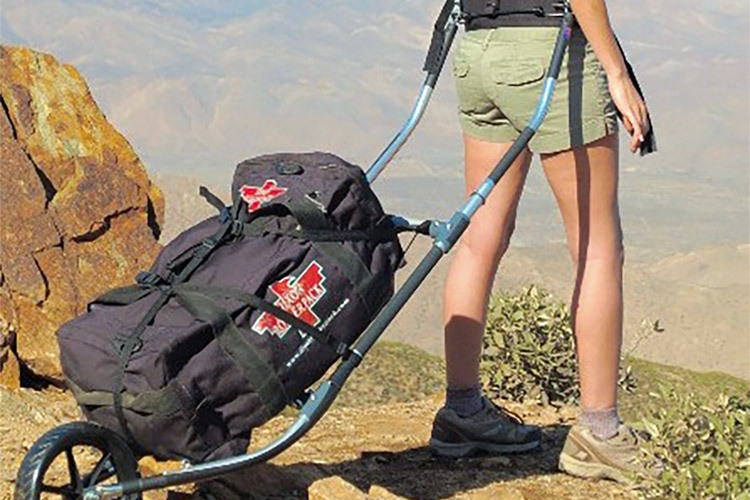 We recently published a story about the MULE, a pack with a wheel designed by a man named Melvin McCoy to carry heavy loads over uneven terrain. The story was extremely popular, shared more than 10,000 times, and people were intrigued. But McCoy’s invention, while interesting, wasn’t funded on Kickstarter. We’re guessing it’s just too darned expensive, ringing in at $600 or more. An alternative, the Dixon Rollerpack is about half the price. While its weight limits are less, hauling 75 pounds max, it looks to be a similar concept. 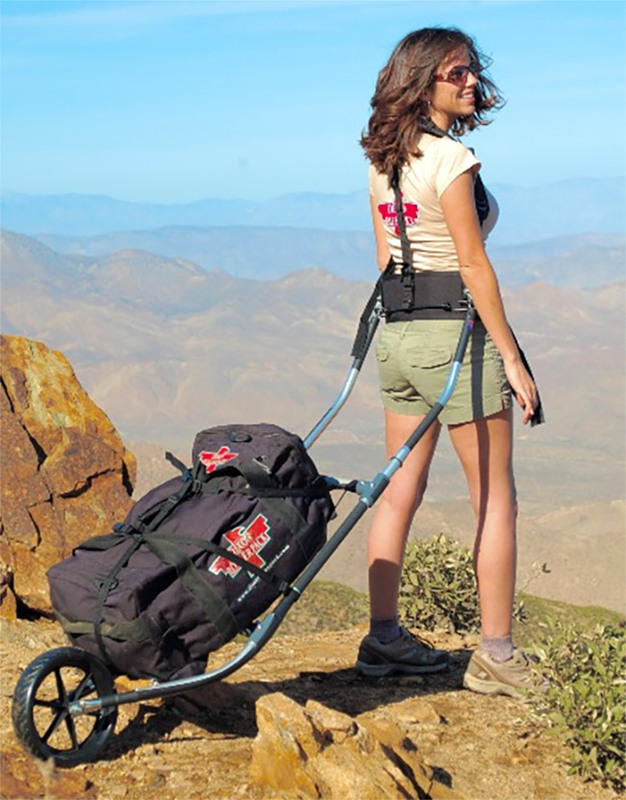 By adding a wheel, this niche of backpack is useful for people tasked with carrying way-too-heavy loads. Base camp supplies, elk quarters, and trail maintenance equipment come to mind, as a few examples. 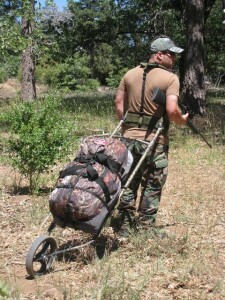 The Dixon Rollerpack works much like The MULE, but it sits closer to the ground and attaches lower on the back while still supported with backpack straps and a wide hip belt. It comes in two sizes, for 50- and 75-pound max loads. The unit is made with a metal frame and a pneumatic wheel. 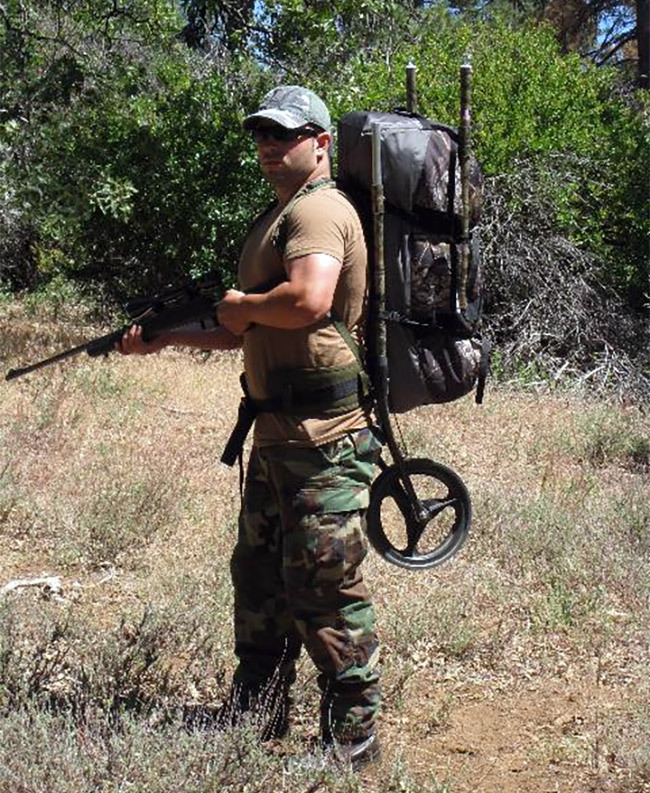 A shoulder harness and belt connect it to the body. The 75-pound version can haul more than 5,000 cubic inches of supplies. It weighs about 9.5 pounds when empty, though with the wheel much of that weight is transferred to the ground. Unfortunately, the 75-pound model is made only for people 6′ or taller, so if you’re of shorter stature you’ll need to buck up and carry your load the old fashioned way. Reviews on the pack are generally positive. We’ve not yet tested it, but hope to put one through the paces sometime soon and find out if there’s an advantage to rolling packs over the tried and true piggyback option.